Western sandcherry is a very hardy cherry native to the Northern Great Plains. It is relatively a short lived plant bearing purple coloured edible fruits. 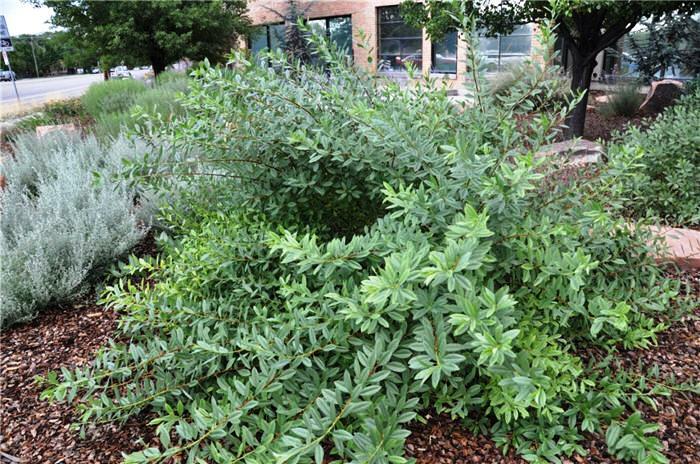 Deciduous shrubs, sometimes suckering, 1–15(–25) dm, not thorny; twigs with terminal end buds, glabrous or sparsely to densely puberulent. Leaves deciduous; petiole 2–10(–13) mm, glabrous or hairy only when young, sometimes glandular distally or on margins at bases of blades, glands 1–2; blade elliptic, oblanceolate, or obovate, 2.5–8 × 0.8–3 cm, base obtuse, cuneate, or long-attenuate, margins crenulate-serrulate to serrate in distal 1/2–2/3, teeth sharp or blunt, callus-tipped, sometimes glandular, apex short-acuminate to rounded, surfaces glabrous. Inflorescences 2–5-flowered, umbellate fascicles; pedicels 3–19 mm, glabrous; flowers blooming before leaf emergence; hypanthium campanulate, 1.7–3 mm, glabrous externally; sepals erect to reflexed, semicircular, 1.3–2.8 mm, margins glandular-toothed, surfaces glabrous; petals white, oblanceolate, oblong, or suborbiculate, 3–9 mm; ovaries glabrous. Drupes dark purple to nearly black, subglobose or broadly ellipsoid, 6–12 mm, glabrous; mesocarps fleshy; stones subglobose, ovoid, or fusiform, not flattened. 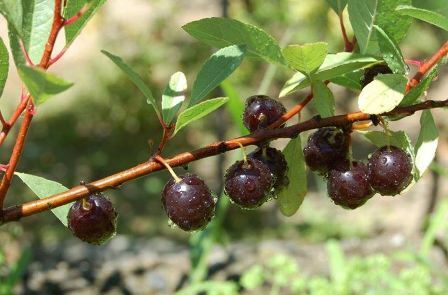 Western sandcherry fruits are eaten fresh, dried, or processed as jellies and pies. These are, however, mildly astringent. Western sandcherry is also reported to possess some medicinal properties. 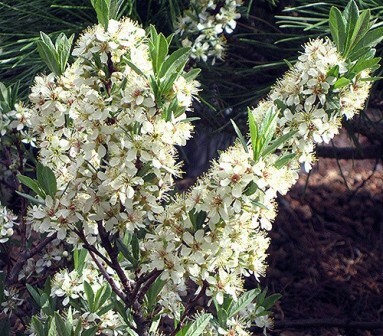 Western sandcherry plant can be used as a rootstock for plums. However, it produces mostly dwarf trees that are poorly anchored. Though Western sandcherry bears edible fruits, yet it is cultivated more for its other uses e.g. landscaping, windbreaks etc. than for its fruits. It is a quite cold hardy tree. It performs better in sunny locations and prefers loomy soils with a pH range of 5.0 – 7.5. New plants are raised from seed as well as from stem cuttings. 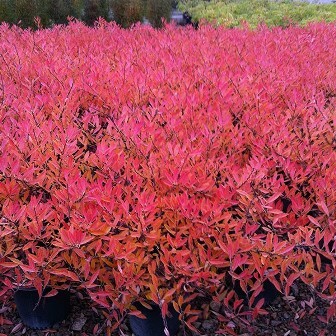 Few named cultivars are also sold by some nurseries.